amBX Lighting Control from Sun-Light Solutions. See how amBX lighting control can change a space by clicking play on the video below. Built on the proven amBX lighting control technology and abstracted design model, Light-Scene Engine delivers new possibilities for interactive lighting and drops simple yet powerful amBX apps and user interfaces from AMX, Crestron, Control4, DemoPad, Lutron etc into the hands of the user. This hugely extended & scalable system is perfect for controlling lights within multiple spaces (unto 32 spaces) in the home, office, meeting rooms, classrooms, teaching spaces, bars, sensory spaces, clubs and restaurants amongst many others – Offering multi DMX universe support for the larger systems. Three versions, on the same platform, are available from Sun-Light Solutions – “Light-Scene Engine Ambient” will offer control of static colours including intelligent white with the ability to re create sunrise, sunset, morning sun etc all from multiple colours within a pallet. Beautifully designed ambient Light-Scenes such as Fireflies, Fire, Lounge Moods, Woodlands, Ocean, Tropical , all offering mesmerising movement of multiple colours around a space. This version is perfect for controlling different colour temperature white lights and adding control of coloured lights such as RGB, RGBW, RGBWA around multiple spaces within a building or property, such as whole homes or a suite of meeting rooms, classrooms, offices etc. 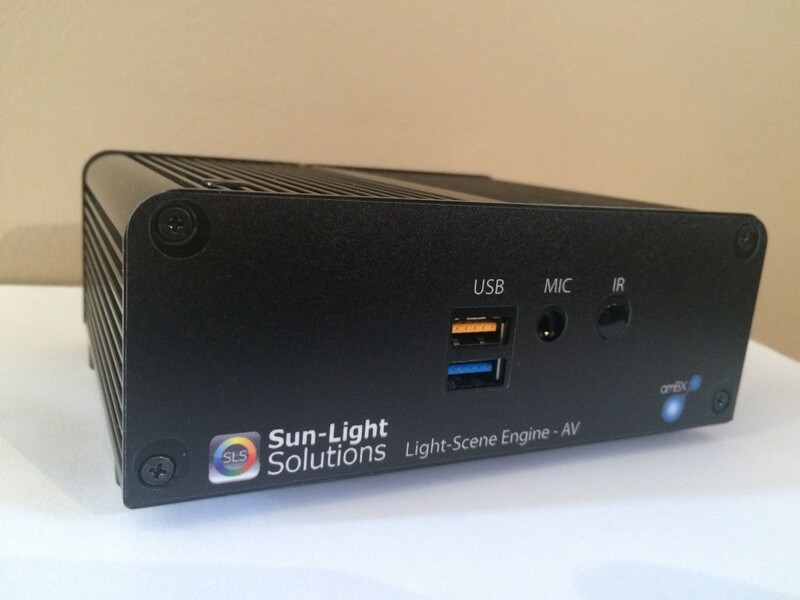 The “Light-Scene Engine AV” will offer all of the above but by using an audio and video input selector the addition of Audio2Light scenes can be created such as RnB, Modern, Soul-night, Romance, Clubbing, Classical, perfect for the media lounge, conference rooms, bars, clubs, VIP lounges, restaurants, reception areas, dining areas, houses of worship etc. Further more Video2Light scenes can be created which are perfect for the cinema room, cinemas, media rooms, event spaces, clubs, digital advertising, reception areas adding drama, intrigue and impact. The “Light-Scene Engine amBX GO” will offer all of the above but capable of controlling lights in one space. 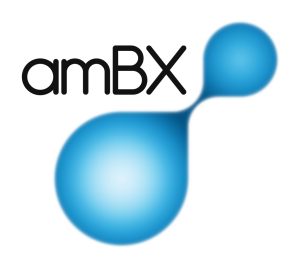 The new amBX apps can be used on your PC, iPad, MacBook or server for remote control of the lighting scenes for stand alone systems. Also available is the new remote engine manager for rapid fixture, space, universe, Light-Scene set up from any location on the internet. Remote management of the new processors are available for diagnostic purposes. The latest elegant and silent Light-Scene Engine processor for 2017 is constructed from aluminium, weighing 833g, measuring a mere 51 x 140 x 111 mm with Input: 100 – 240V Output: 19V DC- Drawing between 14w and 40w maximum power depending on Light-Scene usage. The small form factor platform for the amBX Light Scene Engine with its fan-less operation is fully equipped for the demanding amBX applications of video & audio to light projects in the home or business. With wired or wireless network capabilities and its tiny footprint the latest Light Scene Engine fits any project brief. This entry was posted by owenphillips. Bookmark the permalink.